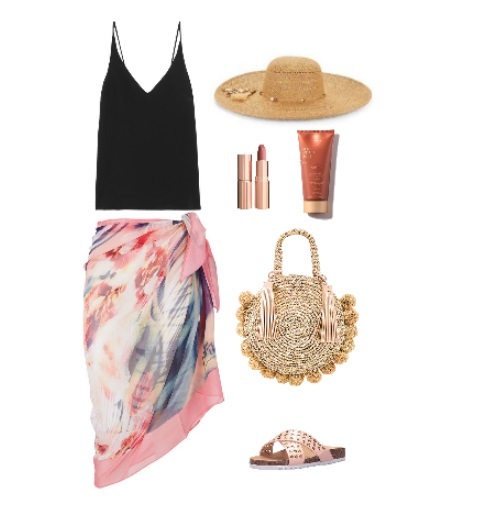 Styling saroong or batik to go to the beach is so much fun! Just pair it with camisole and sandals, and don't forget to grab your straw hat + straw bag. (Because it is summer, 'duh.) For a chic glowy summer look, also bring your fav peach lipstick, and not to mention; the sunblock & the tanning oil! I love love love a summer night out. Just for dinner and wine, or night walk on the beach. 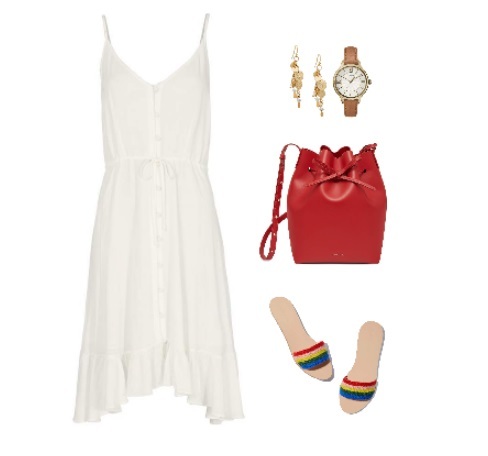 Wear your loose dress (in white is better, because it will make you look effortlessly chic. ), and complete your look with colorful bag, like this red bucket bag. Add some pretty details like drop earrings & watches, and you're ready to go! 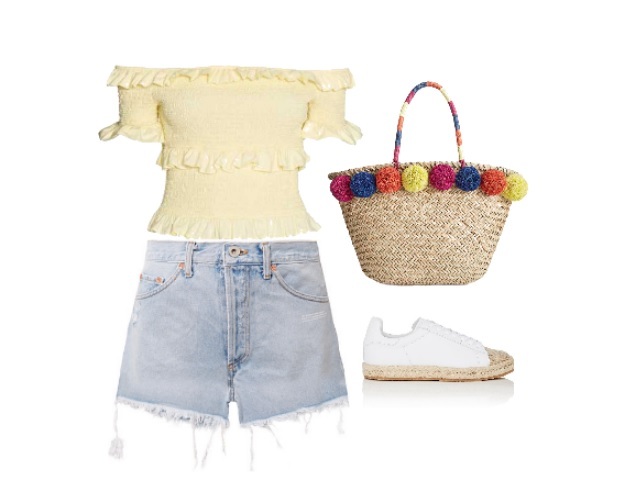 What is your ideas about summer outfits? Let me know and I'll see you in my next post, loves!